Find farmers’ reports on the effects they achieve with BONSILAGE FIT here. The von Kamp family business in Armstorf (Lower Saxony) is a specialist dairy farm that also raises heifers. Both of the sons are currently completing agricultural training or studies, and the von Kamp family business also trains and works with two apprentices every year. Farm manager Olaf von Kamp prioritises two goals, above all: high milk production per hectare of forage area and a high lifetime yield of animals to be culled. The current lifetime yield of cows on the von Kamp farm is 37,000 kg, with an annual restocking rate of about 20%, but the target is to reach a stable lifetime yield in excess of 40,000 kg in the short term. 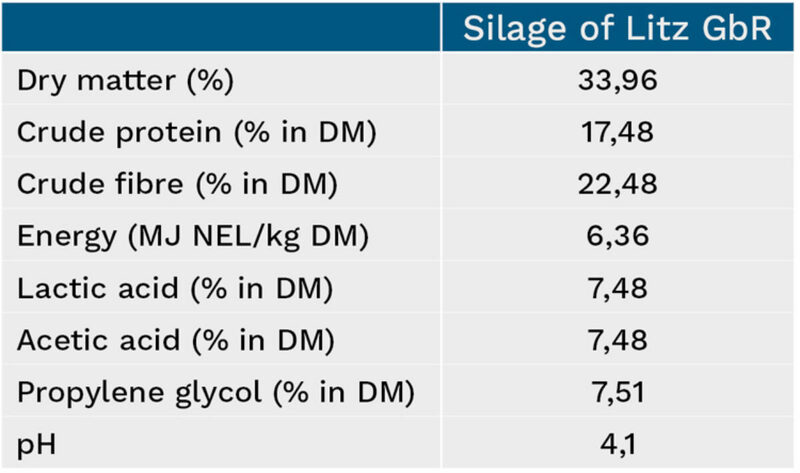 Highly digestible silages with low silage and storage losses are essential if this goal is to be achieved. For maize, farm manager von Kamp aims to harvest crops with dry matter contents in the range between 30% and 32% for optimal compaction, especially for shredlage. The von Kamp family is careful to harvest crops quickly, compact silage thoroughly and seal silage stacks rapidly. They have been relying on BONSILAGE silage additives consistently for over 15 years on their dairy farm in order to minimise silage and storage losses even further. Once the silage is opened, care is taken to maintain evenly cut surfaces without crumbling losses. Agrargenossenschaft Ranzig is located between Lübben and Frankfurt (Oder) in the east of the Lower Lusatia region in Germany. It produces cereals, oilseed crops and forage for its livestock on an area of 1800 ha. In 2017, the Cooperative’s dairy herd of about 650 cows ranked among the top ten producers in the federal state of Brandenburg, with just under 11,000 kg milk with 841 kg fat and protein per cow and year. 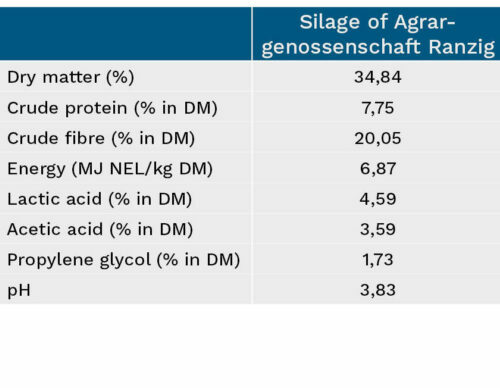 A lifetime yield of over 35,000 kg milk per cow is clear evidence that the Agrargenossenschaft Ranzig prioritises animal health and cow fitness. This is why Christian Rußig, the Cooperative’s Head of Animal Production, decided to use BONSILAGE FIT M with the 2017 maize crop. For him, the aim was not only to improve the aerobic stability of the treated silages, but also to support the cows’ metabolism by increasing the propylene glycol content in silage. 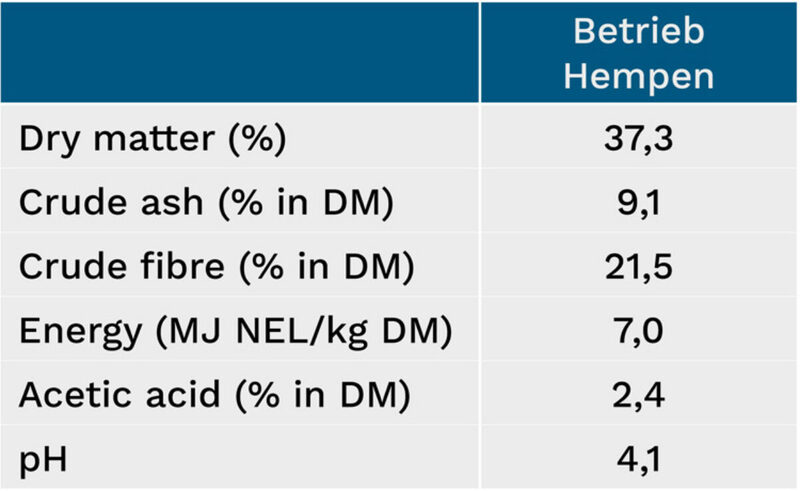 The Cooperative’s excellent maize silage contained 1.73% propylene glycol in DM. This, together with outstanding aerobic stability, helps prevent metabolic disorders such as ketosis and acidosis based on feed quality. However, producing excellent silage requires not only the use of BONSILAGE silage additives, but also stringent silage management standards, with particular emphasis being placed on the optimal harvest time, chop length and compaction in the silo. 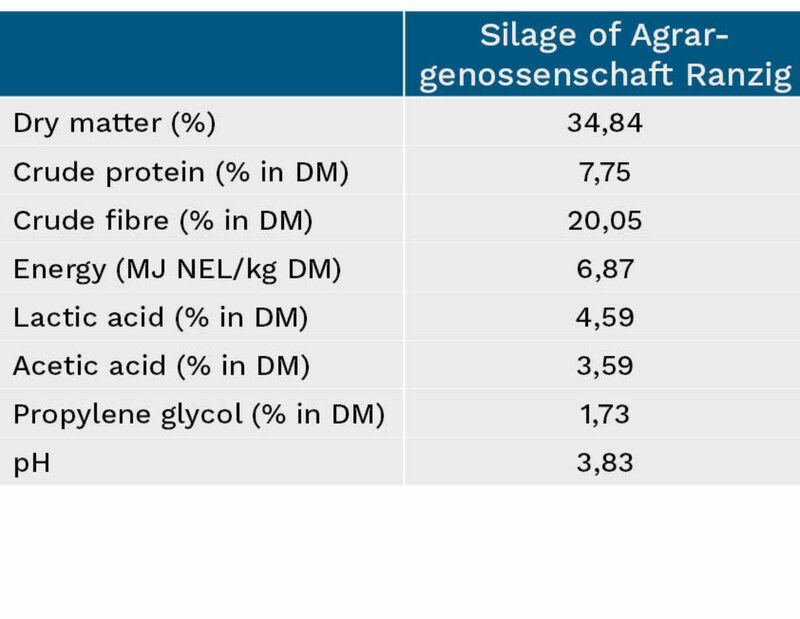 The result demonstrates the great importance that the Agrargenossenschaft Ranzig attaches to forage production, even with highly variable harvesting conditions. The family farm Kapfhammer is located in the Bavarian Forest. Besides the 100 dairy cattle and followers, bulls are also fattened here. The milk production is 9,000 kg with 4.2 % fat and 3.4 % protein. 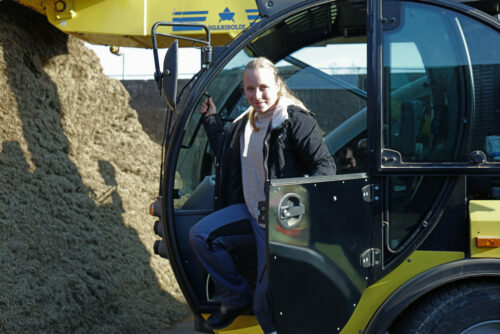 The farm Kapfhammer is a member of the silage cooperative Siliergemeinschaft Schwanenkirchen, which performs the chopping work for the farm. The silos are compacted using a wheel loader. Together with the SCHAUMANN consultant Franz Perstorfer, the farm decided to use BONSILAGE FIT M.
Johannes Hempen’s farm in Wippingen scored 190 out of a total of 200 possible points for its silage, making it the clear winner in the “1st and 2nd cut” category. 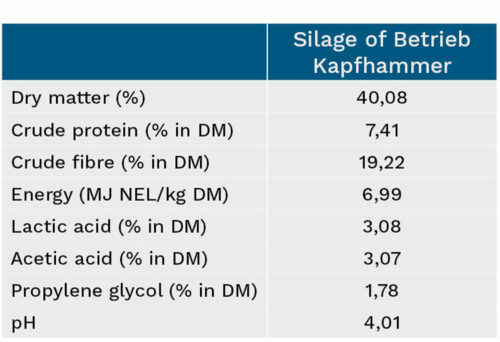 Johannes Hempen knows just how important a high forage milk yield is. Last year, his about 195 dairy cows achieved an average herd performance of 10,900 kg milk and a lifetime productivity per day of life of 17.3 kg milk. The lifetime yield of culled cows is 43,000 kg milk. The Hempen farm produces high-quality forage from about 100 ha sandy soils with little humus. Finding the optimal harvesting time is particularly important given these conditions. The farm does its own cutting, tedding and swathing. The cutting height of its grass is at least 7 cm. The harvest is done by a contractor. For the farm manager, the chop length of harvested forage of 24-40 mm is crucial for creating a good silage. Two tractors are used to deposit the chopped forage in long, narrow layers. 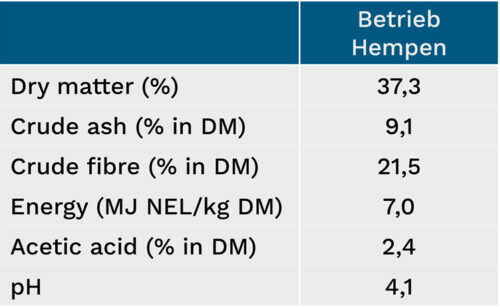 In 2017, farm manager Johannes Hempen relied on the BONSILAGE FIT G silage additive. “High silage quality, increased feed intake and better hygienic properties are particularly important to me”, he says. 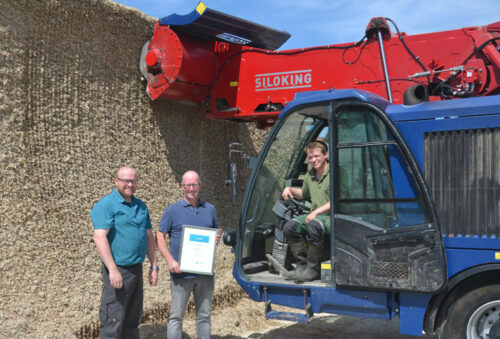 And his winning performance in the silage competition of the Chamber of Agriculture of Lower Saxony clearly shows that he has made the right choice. 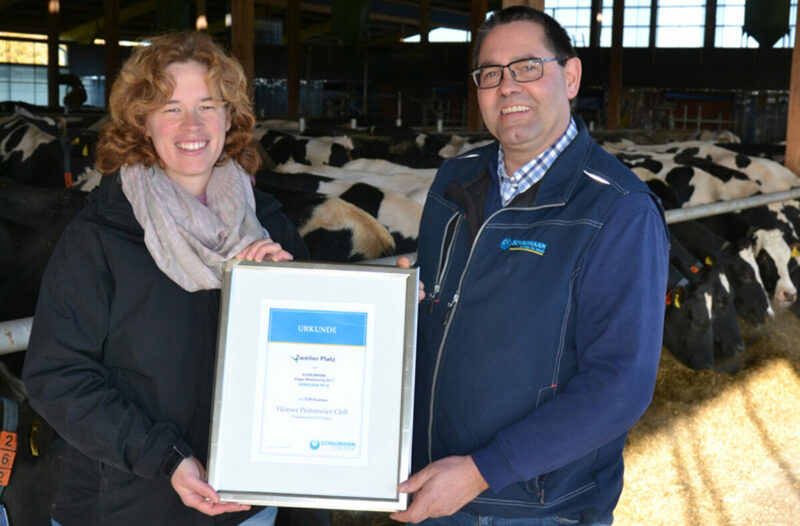 Christine Feldner and Markus Lugenhöfer from Aufkirchen (Bavaria) have grown their dairy herd from 79 to 110 cows since 2013. Their herd comprises 85% Simmental, 10% Holstein and 5% Brown Swiss cows. 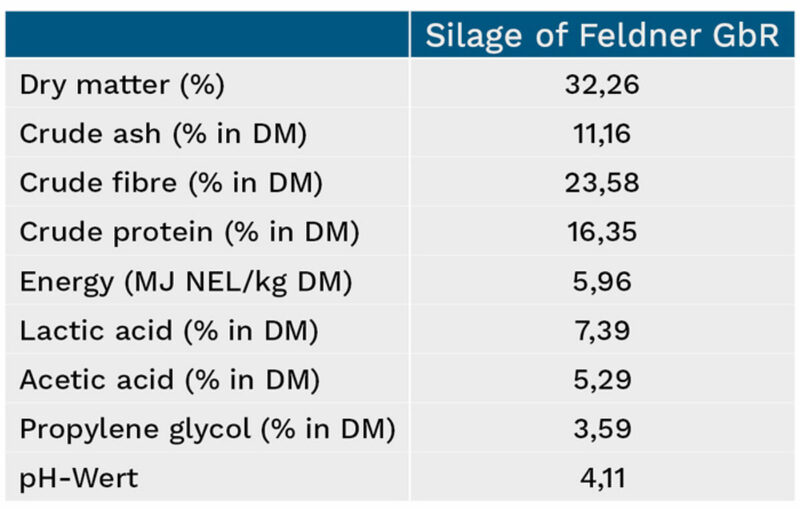 Feldner GbR was also able to increase milk yields continuously from 7400 kg to currently 10,300 kg (rolling average). Consistent base feed hygiene was essential for this successful and sustainable long-term development. Ongoing pasture improvements with regular repair and re-seeding and the use of BONSILAGE in all silages boosted the forage milk yield from 3500 kg milk in 2013 to currently 5500 kg alone. 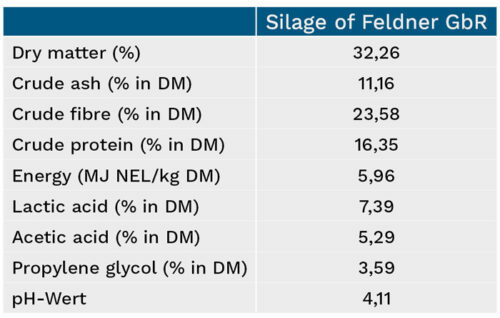 In 2017, Feldner GbR first used the new silage additive BONSILAGE FIT G on their first cut and produced an excellent silage despite a somewhat high crude ash content of 11%. An acetic acid content of 5.29% ensured high stability after opening, and the pH level was within the optimal range. Since propylene glycol formation is not included in energetic laboratory analyses, the actual energy content of the silage is even higher than the value shown of 5.96 MJ NEL. 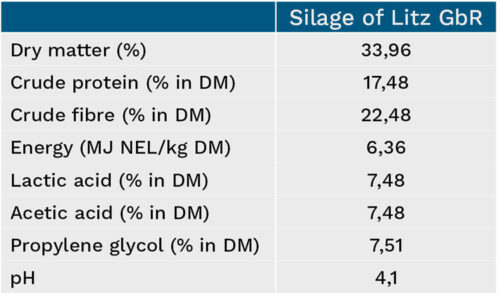 This explains the current daily milk output of almost 34 kg/cow. Christian Gerdes from Barenburg in Lower Saxony manages a dairy farm with 85 cows. His recipe for successful, high-quality silage is short field curing times, the use of silage additives and grassland maintenance with regular reseeding. “Perfectly hygienic silages form the basis for high milk production and healthy cows”, Christian Gerdes says. This is why he has been using BONSILAGE silage additives for many years. This year, SCHAUMANN specialist consultant Jörg Lehning convinced him of the benefits of BONSILAGE FIT G.
Using this silage additive has paid off. The silage has a very high content of propylene glycol of 6.43%. 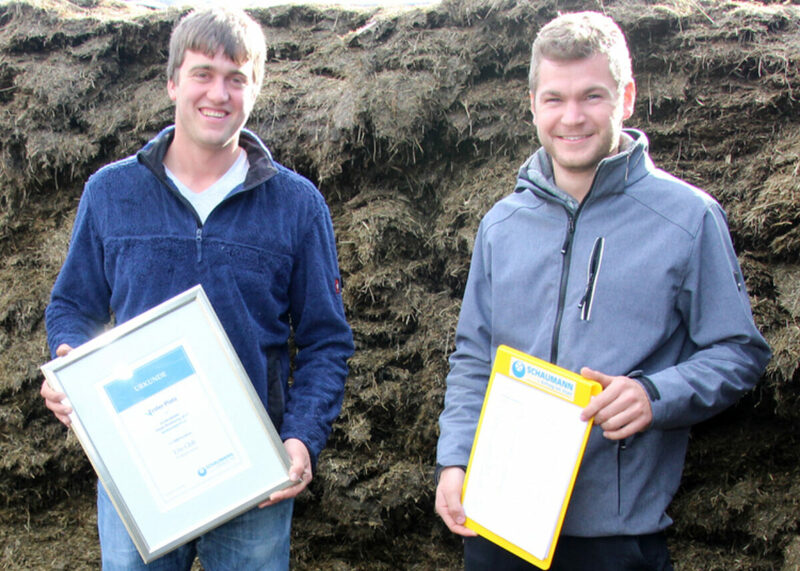 “I’m truly impressed and utterly convinced by BONSILAGE FIT G. The silage is stable. The high propylene glycol content helps us prevent metabolic diseases such as ketosis and acidosis through our feeds”, Christian Gerdes confirms. He has no doubt that he will use BONSILAGE again next year. Christian Gerdes (right) with SCHAUMANN specialist Jörg Lehning. Flömer-Peitsmeyer GbR run their farming business in Espelkamp in north-eastern North Rhine-Westphalia. While Miriam and Cord Peitsmeyer are responsible for the farm’s 240 cows, their progeny and forage growing on the farm, Ernst Flömer intensively looks after arable farming of potatoes and sugar beets. 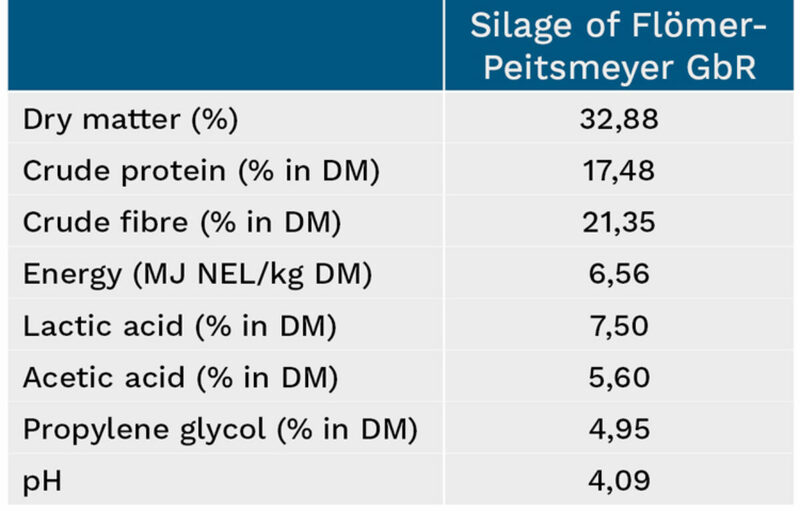 For Cord Peitsmeyer, ensiling high-quality fodder with minimal losses constitutes the most important prerequisite for successful milk production. This is why his business has routinely used BONSILAGE silage additives in its silage for many years. Having gained positive experience with BONSILAGE PLUS and BONSILAGE FORTE, he decided to use the new silage additive BONSILAGE FIT G in 2017. 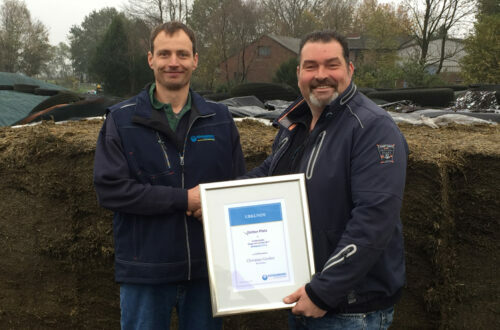 “We decided on BONSILAGE FIT G in consultation with Klaus Lübken, our regional SCHAUMANN sales manager, as this silage additive optimises the energy characteristics of silage and promotes the formation of propylene glycol. This is how we prevent feed-related diseases such as ketosis and acidosis”, says Miriam Peitsmeyer. Flömer-Peitsmeyer GbR harvested their first cut of 2017 over a period of 36 hours. Apart from short field curing times and the use of BONSILAGE, farm manager Cord Peitsmeyer places great value on high-quality grasses and healthy swards. He likes to take care of grassland maintenance and reseeding with GREENSTAR himself in spring to allow him to assess sward quality early on after winter. “If there are any sections with gaps, I directly reseed double quantities”, he says. 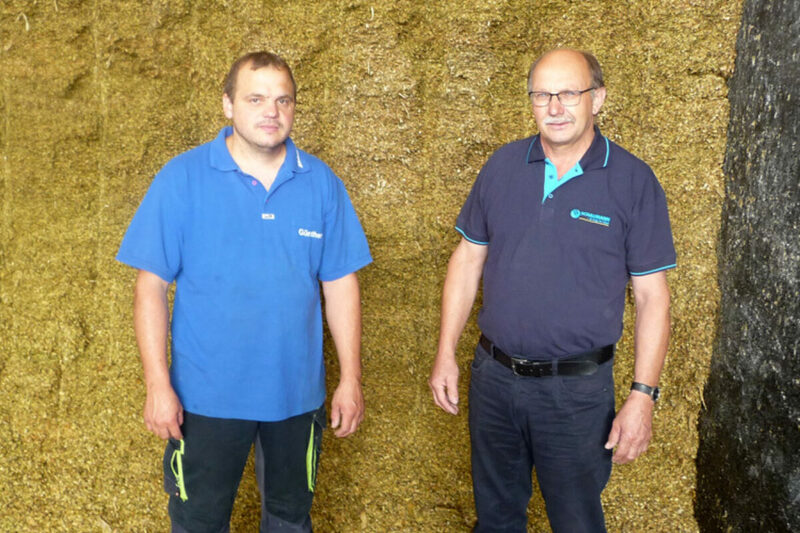 Hansjörg and Florian Litz manage a family farm in Wolpertswende, Germany, where they run a heard of 90 dairy cows and progeny. Their farm in the district of Ravensburg near Lake Constance is located in the foothills of the Alps, at an altitude of 500-600 metres. High precipitation rates allow the Litz GbR to harvest between 5 and 6 cuts per year from their grasslands. The intensity of fertilisation is adapted to intensive grassland utilisation. The farm managers rely on the high quality of GREENSTAR mixtures for repair and re-seeding. 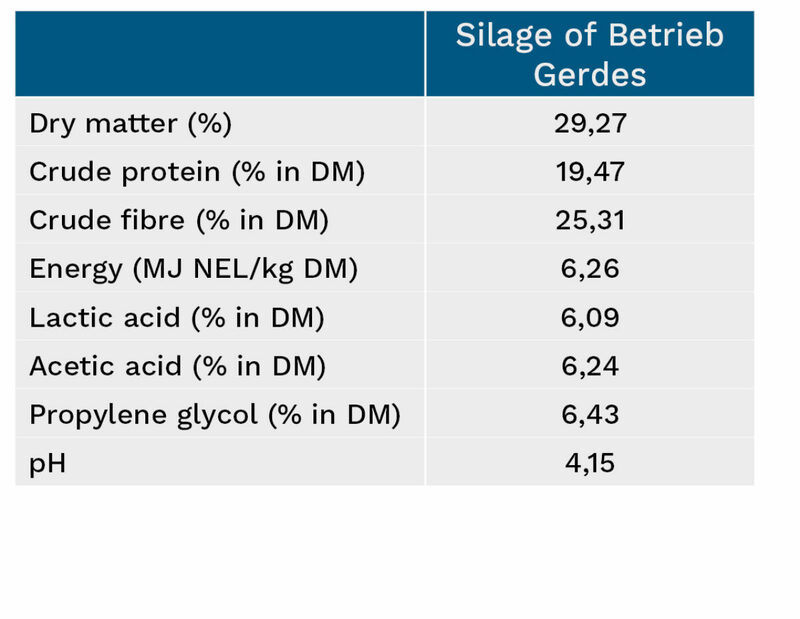 They place particular value on achieving high yields with as much high-quality grass silage as possible, as they aim to keep the ratio of purchased feeds below 35% of total rations. Hansjörg and Florian Litz achieve their goal with a high-quality first cut. 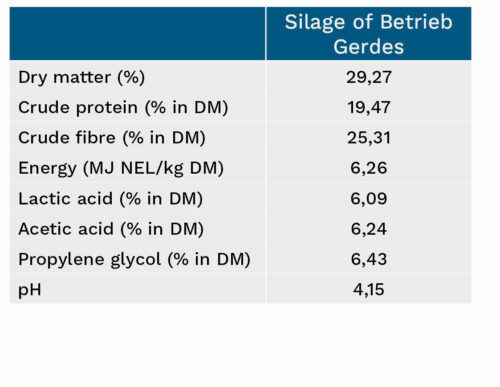 Once they started feeding grass silage treated with BONSILAGE FIT G, their herd’s yield increased to 10,000 kg milk per cow and year. Cows receive a substantially better supply of energy, particularly during the first 100 days of lactation. Their oestrus cycles also improved. Calving intervals are currently at a very good 370 days. Florian Litz (left) with SCHAUMANN specialist Fabian Rehm. This video introduces the silage additives of the product group BONSILAGE FIT and showcases practical experiences made by farmers with these products. Calculate your monetary benefits when using BONSILAGE silage additives. This calculator compares costs and benefits and calculates your added value.